On 30 April 2018, Polar Research and Policy Initiative (PRPI) was pleased to host the 8th High-Level Dialogue on ‘Sustainable Development Goals (SDGs) in the Arctic’ at the University of Tromsø – The Arctic University of Norway | UiT in Tromsø, Norway. 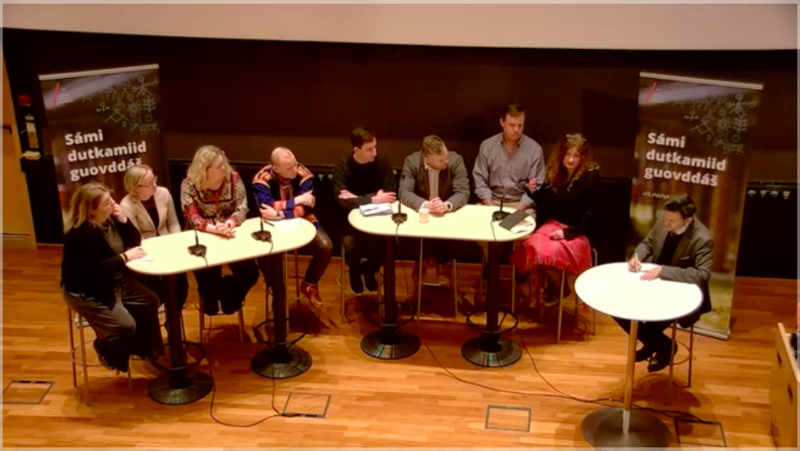 The dialogue was co-hosted by the Centre of Sami Studies at UiT, in collaboration with the University of Southern Denmark, UArctic, the Danish Ministry of Higher Education and Science and Nordregio. 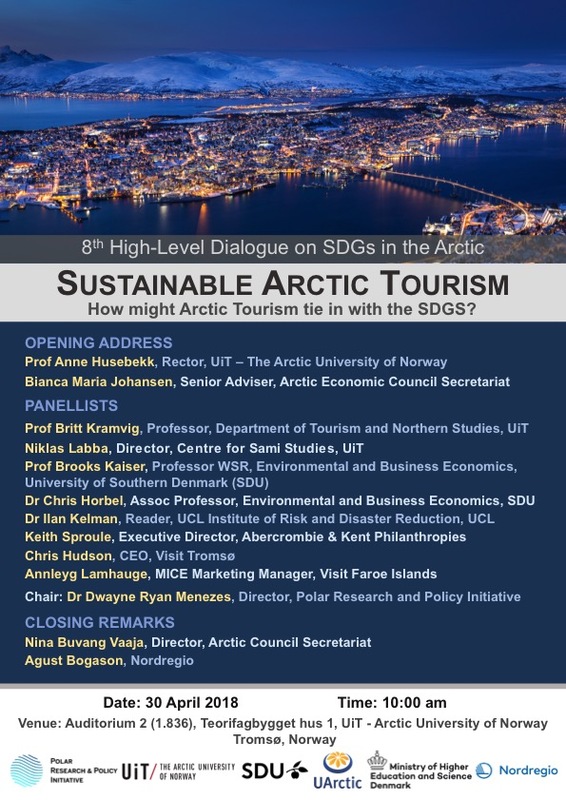 The session was convened on ‘Sustainable Arctic Tourism: How might Arctic Tourism tie in with the SDGs?’ and held as part of a 4-day international workshop in Northern Norway that brought together researchers, policy analysts, practitioners and industry representatives from around the world. The workshop was held on board the Hurtigruten vessel MS Kong Harold as it sailed from Tromsø to Honningsvåg and back, with a 2-day stopover in Honningsvåg that included additional sessions of the workshop, as well as study excursions to Skarsvåg and Gjesvær. Upon the group’s return to Tromsø and conclusion of the workshop, the 8th High-Level Dialogue was convened to bring together on the panel some of the visiting researchers, practitioners, and philanthropic and industry representatives, along with Tromsø-based scholars and industry leaders.